Brantley Commercial Pest Control provides targeted extermination treatments designed for the needs of your particular business. Our state-of-the-art equipment, years of experience, and industry training allows our technicians to identify existing rodent and insect colonies quickly. We are extremely proud of our service offerings that are available for the commercial community and invite you to contact us for a same-day assessment. At the very least, pests living at your place of business can cause you embarrassment. At the most, they can damage your building’s structure, destroy its insulation, cause unpleasant odors, and place its occupants and visitors at risk of developing unwanted illnesses. Putting it simply, pests are just bad for business. If you’d like to maintain an impeccable business façade, you need the expertise of trained technicians from Brantley Termite & Pest Control. You can rely on our staff to successfully manage pest infestations within your building, whether you have large rodents or small insects like ants, spiders, or cockroaches. Our termite and pest control company has successfully treated insect infestations in businesses located in Florida since 1978. We deliver full-scale protection that involves indoor and outdoor strategies to eliminate existing colonies in their prime locations, while offering ongoing management of your property to dissuade common Florida pests from ever selecting your place of business as their home again. Our goal is to service our clients so that they can handle business as usual, greeting and serving their customers with the pride that comes from knowing your building is pest-free. We’ll assist you in eradicating pests, sanitizing affected areas, identifying high-risk locations for future intrusions, and maintaining your surroundings to minimize any risk of fresh pest infestation. 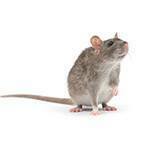 Our treatment programs target rodents, ants, fleas, ticks, roaches, flies, and more. We proudly serve Tampa, Hillsborough, Pinellas, Palm Beach, and Manatee counties. No two businesses or pest infestations are the same, which is why we develop customized solutions to target your problem swiftly and successfully. 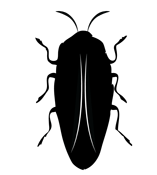 Honestly, after more than three decades on the job (1978), there isn’t a single Florida bug that our trained technicians haven’t been able to get rid of for clients. While the pests seem to remain the same from year to year, new strategies and methods occasionally emerge, which is why our employees always stay on top of the latest trends. Our knowledgeable technicians conduct thorough inspections of your commercial property, enabling them to identify pest infestations of all sizes. Specialized tools, such as telescoping cameras, UV light, and sensors, are used to assist our technicians in their assessments. This initial assessment takes approximately 60 minutes, and future maintenance visits take about 30 minutes. After the inspection has been conducted, the technician creates a cohesive line of attack to manage the pest infestation. This methodology often utilizes specific steps to exterminate pests, identify access points, and seal cracks and holes to minimize future infestations. Scientifically proven strategies are employed to destroy pests. Whenever possible, green treatments are used to minimize the potential risk to humans and the environment. The management of any business property previously exposed to pests necessarily involves a 4-prong approach that can successfully manage seasonal invasions. Attentiveness by the client is suggested in conjunction with professional inspections and treatments.